Thanks. Yes give t a go! It's really easy to do! Love these nails, super cute! It's one of my favourites too! Pastels are definitely my favourite nail look! 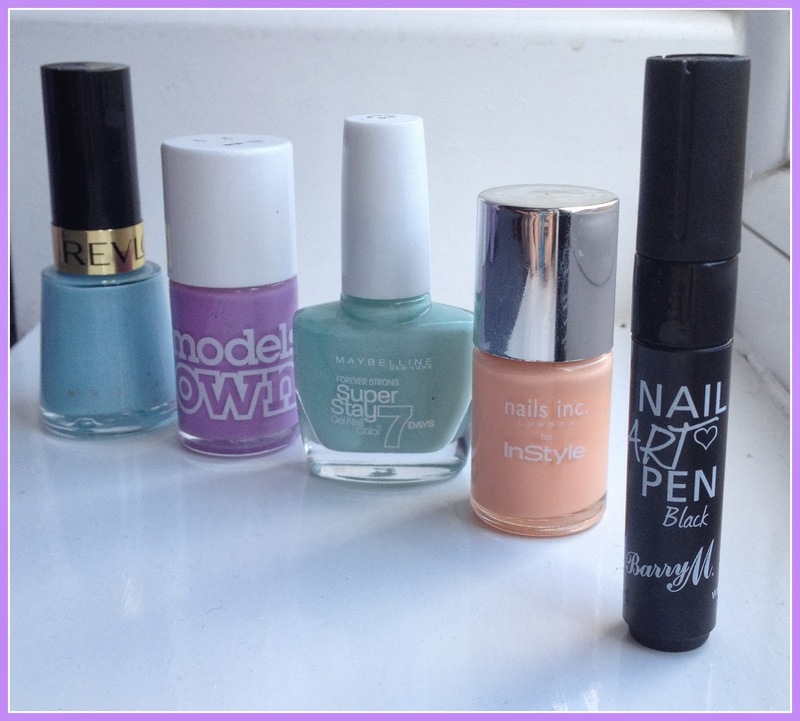 I love pastel shades - I can't wear to wear more of them during Spring! Your nails look really lovely and cute. Thank you! They really are perfect for Spring, I can't wait! i love the colors and the polka dot touch looks great! Wow love those nails. I have just discovered and adore your blog. What camera do you use? I have followed your blog and can't wait to read more. If you have a moment, I would love it if your read mine too. Love all the colors! And the polkadots rock! Looks beautiful girl :) I love simple nail art which is easy to do . This is so pretty! 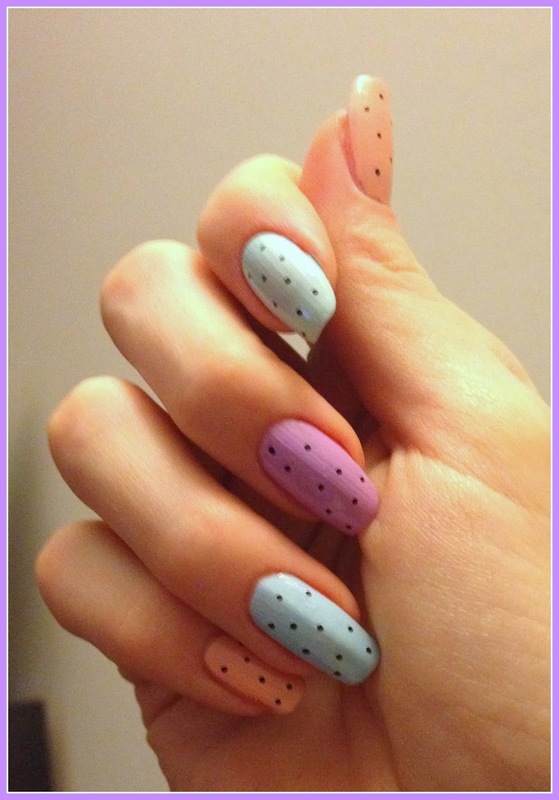 Im obsessed with pastels at the moment but wish I had a steady hand to do nail art like you!